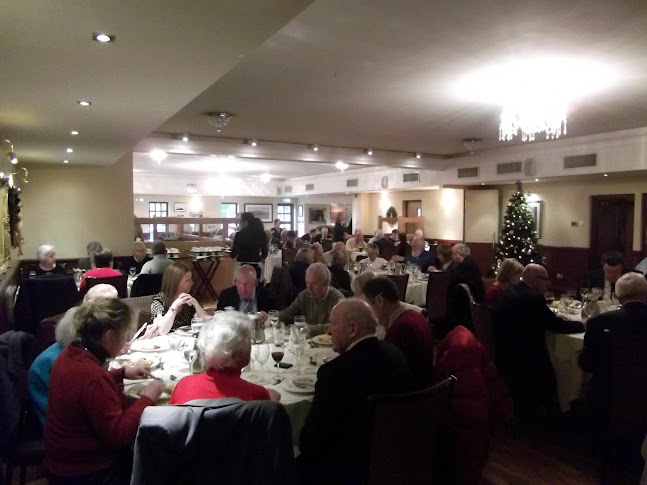 On Sunday 2nd December last, members and friends from near and far attended our Annual Lunch in Dooley's hotel on the Quay. 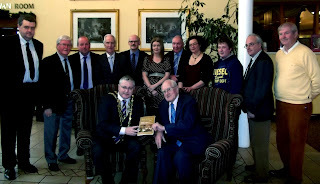 The guest of honour was His Worship the Mayor of Waterford, Cllr Jim D'Arcy. A good time was had by all, once we had enjoyed the mulled wine reception and the festive meal, a trip 'down memory lane' was presented by vice-chairman Eddie Synnott through a series of slides from the Munster Express photographic archives. Of particular interest were those of the outings of the then Old Waterford Society. Seated: Fergus Dillon, Chairman, presenting a copy of 'Decies' to the Mayor, Cllr Jim D'Arcy. Standing: Michael Maher, Sonny Condon, Eddie Synnott, Kevin P Hall, Tony Gunning, Erica Fay, Séamus Reale, Béatrice Payet, Cian Manning, Donnchadh ÓCeallacháin, George Kavanagh.